Enel Desir was born on November 2, 1966 in the South of Haiti, Cavaillon. He migrated to the United States on April 1998 due to the US embargo imposed on Haiti that made it hard for him to obtain materials and supplies to paint.Painting for Enel was not a conscious choice. He just felt compelled to paint since he was a young child. By the age of 15 he had begun to catch the attention of gallery owners, particularly Georges S. Nader from Galerie d’Art Nader. The numerous details in his paintings with which he has carefully and meticulously given to each and every subject caught the attention of many collectors. Enel is consumed by his work and his art speaks his passion. 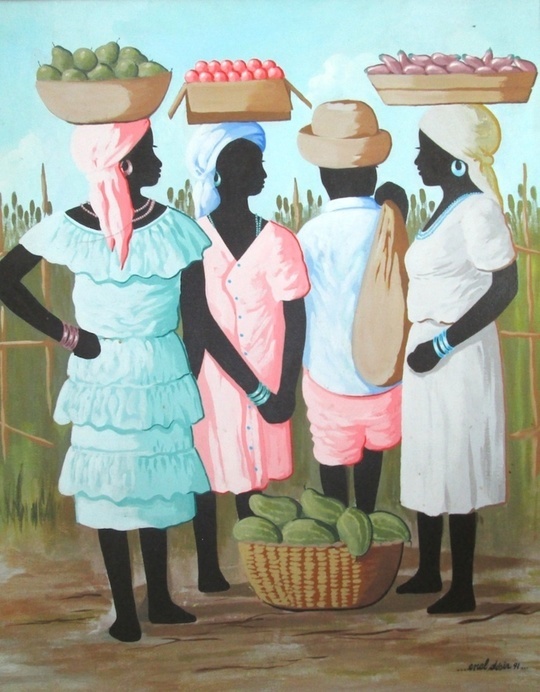 He’s mostly known for his unique style of colorful market scenes with standing crowded people.Today, Enel Desir still resides in the United States where he paints.